Owner Jeff Davidson has a passion for design and education. After earning his fine arts degree from University of Arizona, Jeff relocated to Los Angeles, where he became a hair educator and stylist for a prestigious Santa Monica salon. Hollywood’s elite sought after him for his precision cuts and masterful color. This trend setter has earned diplomas from Vidal Sassoon, Toni & Guy, KMS, and Goldwell. He has trained in cutting under legendary Beverly Hills cutting legend Anh Co Tran. Jeff holds his business to a high standard by making sure no detail is left behind. 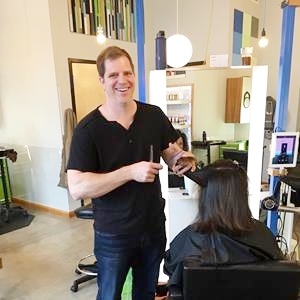 Jeff's Portland clients appreciate his nurturing personality and his enthusiasm for collaboration. He works regularly training and mentoring new talent in the art of hair. Outside of Blueprint, Jeff enjoys Japanese gardening, building things, and enjoying Portland with his wife and two children. Holly Browne, has offered standout hair services in her native city Portland for four years. Upon completion of her associates degree in cosmetology, she spent the first year of her craft apprenticing under one of Portland's most sought after hair designers. 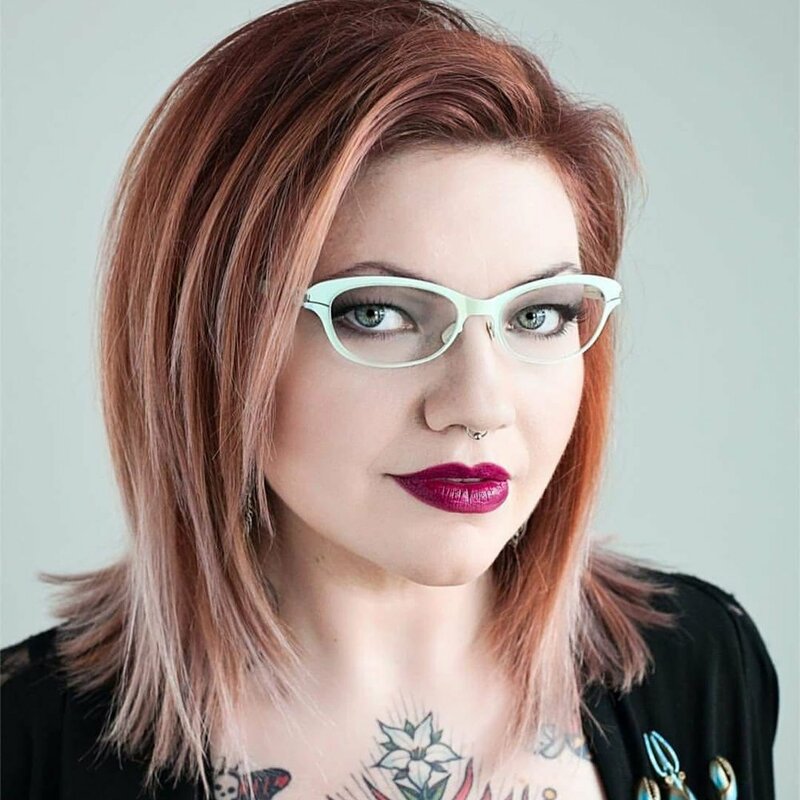 She has had additional training in hair cutting, styling, and coloring by Bumble and bumble., Oribe, and Goldwell educators, including Derek Zeno, Goldwell's most recent Color Zoom winner. Holly receives numerous requests for balayage coloring, and it has become a specialty of hers. It is important to her to provide thorough consultations and offer suggestions to achieve the perfect shape and hue for her client's hair, as well as passing along any information she has gained on her constant search for education that will prepare and excite them for home care and styling. Staying on point with upcoming styles and trends, Holly can assure you that you will leave with a timeless or creative new look to work with your lifestyle. Outside of the salon she enjoys bicycling with her fiance, being involved with her church's youth ministry, spending time with her dachshund, and playing piano. Marcy’s passion for hairdressing started at an early age. She began her career in Portland in 1998 and through continued education has kept up with current trends and perfected her techniques. She enjoys creating beautiful natural looking color and strives to give each client a unique and unforgettable experience. Through years of hands on work she is confident in cutting any hair types and will bring out the best in your hair. SPECIALTIES: Free flowing long layers, blondes, effortless looking short cuts (think Julianne Hough), that 'lived-in hair', baby lights, balayage and more. Sheri was always the last to get ready. School dances and special occasions meant breaking out the curling iron and makeup to get all her friends ready and off to the occasion looking their very best. It was then that she developed a love for all things beauty, more specifically, her love for hair. After graduating, Sheri went the college route, always feeling like she never found 'it'. After many years of putting it off, Sheri returned to school to pursue her cosmetology license. She graduated at the top of her class and went straight to assisting Portland's then number one stylist, Kelly Peach. Outside of the salon, Sheri enjoys eworking in the freelance and editorial world. She has worked with both local and national publications, including 'New York Magazine's' "43 Day Fashion Shoot." When not in the salon, you can find her catching live music, traveling, and getting lost in the Gorge. Bridget was born and raised right here in beautiful Portland, Oregon. Since becoming a licensed hairstylist 4 years ago, she has taken advanced classes at the Vidal Sassoon Academies in Santa Monica and Chicago, as well as advanced training in color from Pravana, L'Oriel Professionnel and Goldwell and curly cutting techniques from DevaCurl. Prior to becoming a hairstylist, Bridget received a bachelor's degree in art history from the University of Illinois Chicago and worked as a freelance graphic designer in Los Angeles. She brings her artistic sensibility to hair as well. Whether you want something classic or highly creative, or a mix of both, Bridget is here to listen and help find the most suitable look for your lifestyle and the health of your hair.